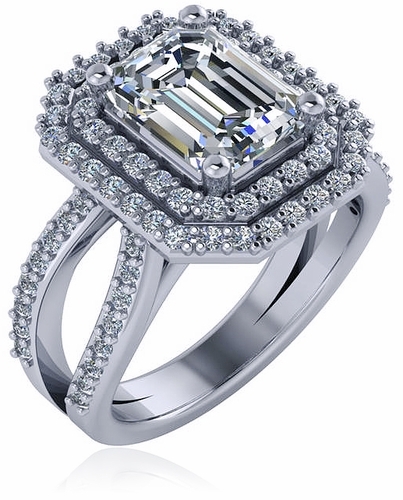 Our Soliera 2.5 Carat Emerald Step Cut Cubic Zirconia Double Halo Split Shank Engagement Ring features a sparkling 9x7mm emerald cut center surrounded by a double halo of pave or bead set rounds. 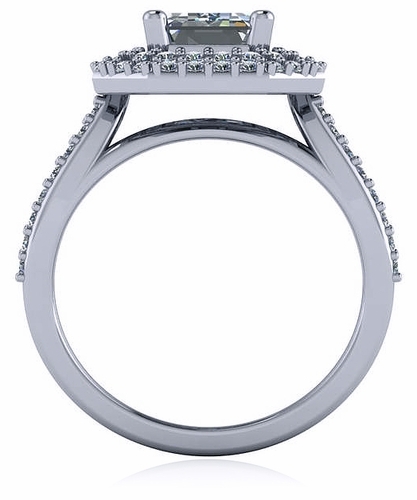 The cathedral style setting offers a wonderful height and presence that is further enhanced by a beautifully curved split shank. 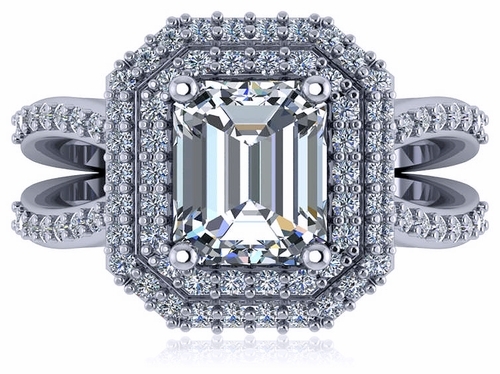 This solitaire includes approximately 3.5 carats in total carat weight of the finest hand cut and hand polished original Russian formula cubic zirconia. Choose from 14k yellow gold, 14k white gold, 18k yellow gold, 18k white gold and luxurious platinum. The option for 14k rose gold is also available, in addition to other carat weights. Whole and half finger sizes 5 through 8 are offered in the pull down menu, for additional finger sizes please call. 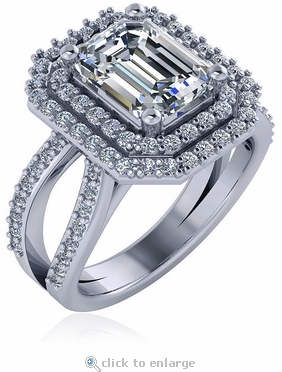 This ring is also offered with a 4 carat emerald, please see item R1097E4. For further assistance, please contact us directly at 1-866-942-6663 or visit us via live chat and speak with a knowledgeable representative.